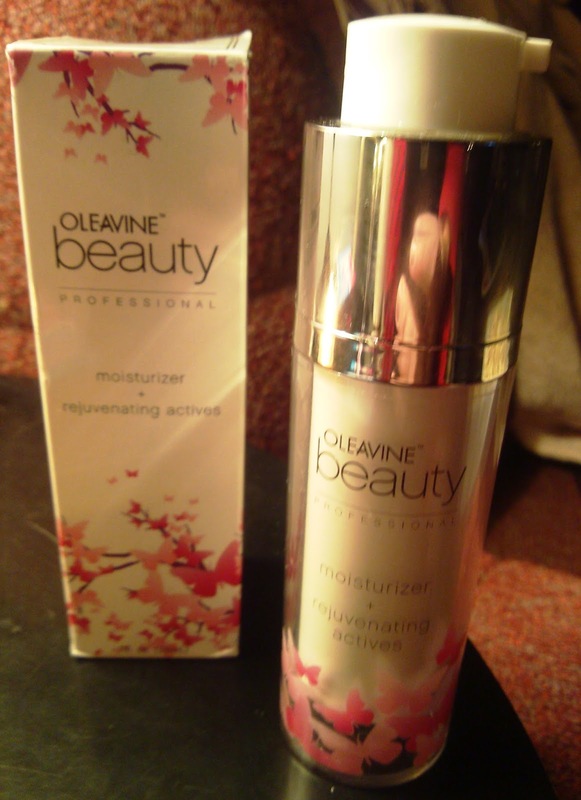 Oleavine Facial Moisturizer is an anti-aging serum and moisturizer in one. It contains active ingredients that provide anti-aging benefits like Argan plant stem cells (wrinkle-fighting), Omegas 3, 6, 7, 9 (inflammation reducing), Vitamins A, B, C, E (antioxidants), and Hyaluronic Acid (skin plumping) as well as moisturizing ingredients like Rooibos Tea Extract, Avena Sativa Oat Extracts, and Aloe Vera. All ingredients are organic and natural - no harmful chemicals. This moisturizer goes on very smooth and non-greasy but nourishes and hydrates my face really well. It's one of my favorite moisturizers to use daily after cleansing. It is gentle but effective even for sensitive skin, and I really like that there are no dyes, fragrances, parabens, sulfates, phthalates, or any other nasty stuff. This product was made with a cold process that protects the integrity of the active ingredients meaning it's a high quality moisturizer. It also has this awesome airless pump that keeps out germs and contaminants and shields the cream from oxidizing air. The pump twists up to use and then back down to store. I love this feature and it is handy for traveling too. Overall I think this is a high quality and effective moisturizer. The bottle is a little small at 1 ounce, but it packs a lot of punch.